I was wondering how that scene ever got approved. They cracked down hard on games and tv shows having anything resembling strobelight. Is this going to be one of those things where the theatrical original will be super rare if not impossible to find? 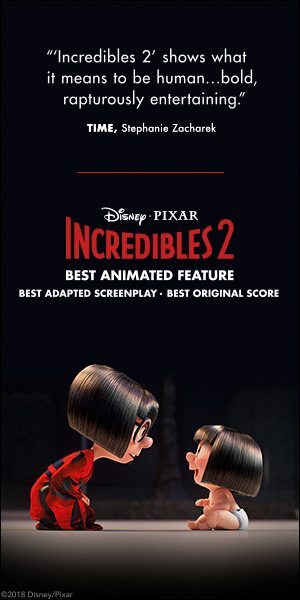 Incredibles 2 was nominated in two categories at this year's People's Choice Awards and won for Family Movie of the Year. 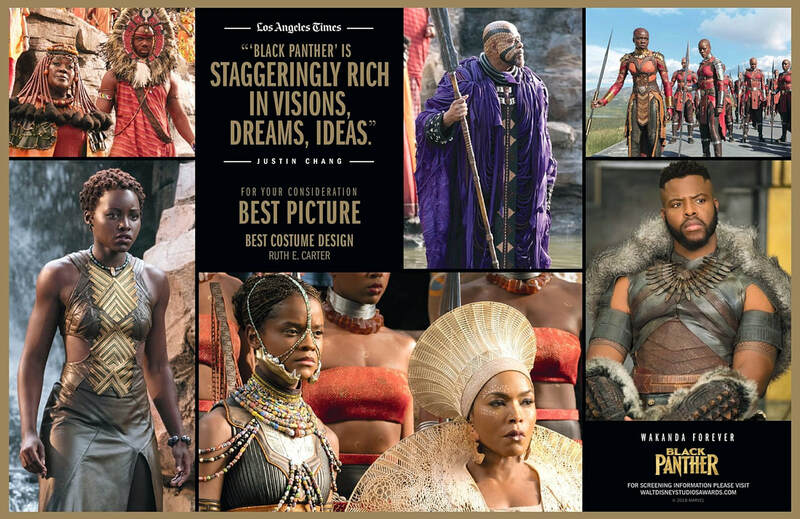 It also won the Hollywood Animation Award at this year's Hollywood Film Awards as well as the Golden Trailer for Best Summer Blockbuster at the Golden Trailer Awards. 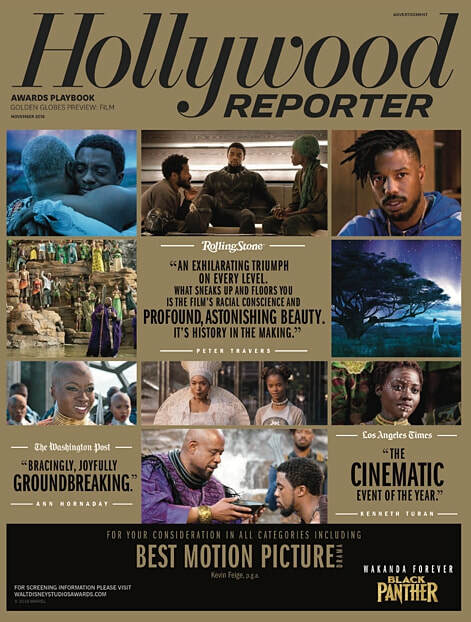 Incredibles 2 has been named Best Animated Feature of 2018 by the National Board of Review, the Philadelphia Film Critics Circle, and the Iowa Film Critics Association. 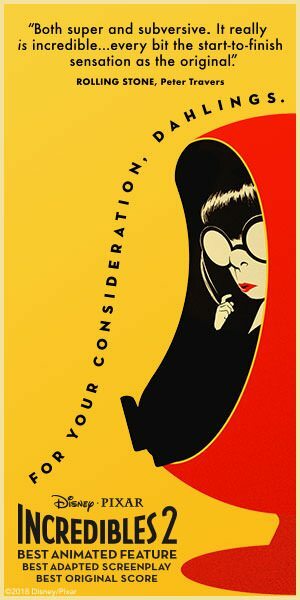 For Your Consideration online ads. I finally remembered why the concept of Jack-Jack's powers was so familiar. It reminds me about the dæmons in Philip Pullman's His Dark Materials (there are no limits for what animals a dæmon can turn into when its human is a child, but as it becomes an adult, it has to pick a final form for the rest of its existence). I thought it was fun and entertaining but kinda forgettable and inconsequential. I finally saw this a couple of weeks ago, but never posted anything. "Inconsequential" is definitely the word that I would use to describe this. I didn't hate it by any means. It was just... there. 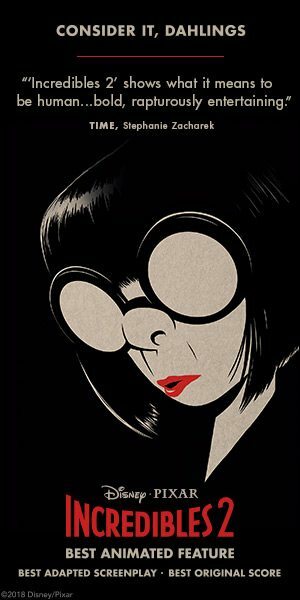 The film is as funny as the first--the scenes with Jack Jack and Edna most of all. That's all I can think to say. 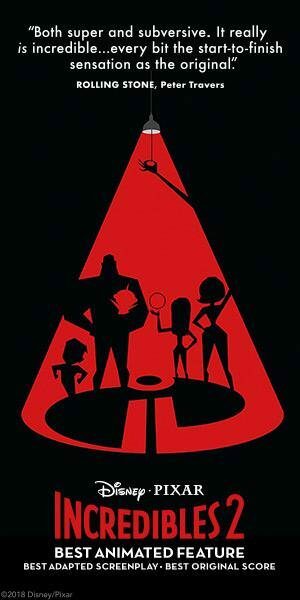 I'm not sure I'll ever have an urge to watch it again; maybe before seeing Incredibles 3?